It’s been established that zodiac signs and crimes go hand in hand. What does this mean? It means the zodiac sign a person is born under may directly connect them to the kind of crime they’re liable to commit. Basically, the sign itself can determine what crime a person is most likely going to commit. Of the three fire signs, Sagittarius is seen as having more of the criminal element and is harder to arrest. Aries are typically armed for a cause and Leos are extremely dangerous. 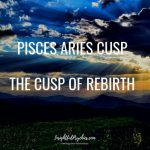 When it comes to the three air signs, Libras tend to have more of the criminal element in them. They’re general armed and can be considered dangerous. Gemini folk are often linked to cases of fraud while Aquarius tends to commit revenge-like crimes. 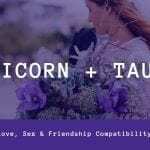 In the earth sign category, Taurus is seen as the temperamental and risky sign. Virgos are typically armed while Capricorns are habitually versatile criminals. For the water signs, Cancer has the most criminals (of all zodiac signs) and can be extremely violent. 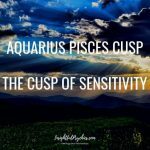 Both Pisces and Scorpio have out of control tempers. Cancers are notorious for being passion killers. They tend to kill many times and leave some type of markings on the bodies of their victims that distinguish them from other killers. These killers are generally seen as mentally unstable. Taurus are usually involved with money laundering, as they’re often seen as clever and can enjoy their crime without the interference of others. Sagittarius folks are thieves, robbers and con artists. They generally don’t hurt their victims unless it is to get what they need. Aries tend to be hired for their crimes. Capricorns get involved with organized crimes and are usually more sadistic than the Scorpio sign. Virgos are hackers and burglars. Libras are generally corrupt folks while Pisces dabble in drug-related crimes. 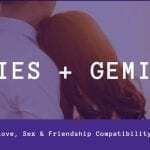 Geminis are not known for taking things seriously, as they’re generally seen as thieves and con artists. Leos tend to commit crimes for the sheer recognition of it; but, they don’t do petty crime. Scorpios are considered contract killers. Aquarius are seen as hustlers, con artists and hackers, which mainly entail manipulation.